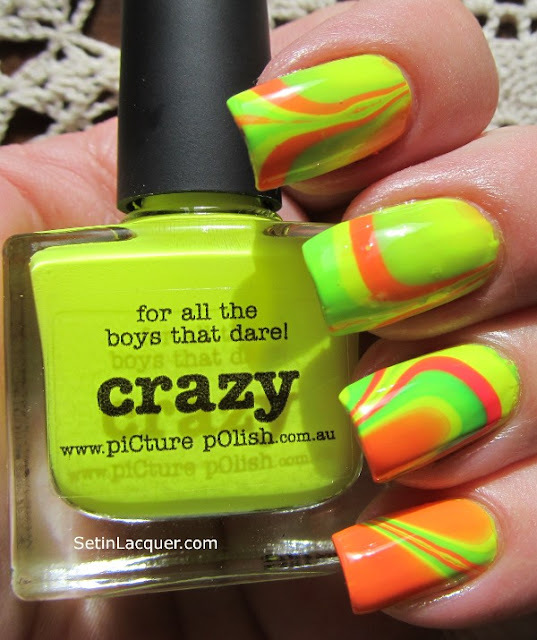 These neon polishes by Picture Polish were calling to me. 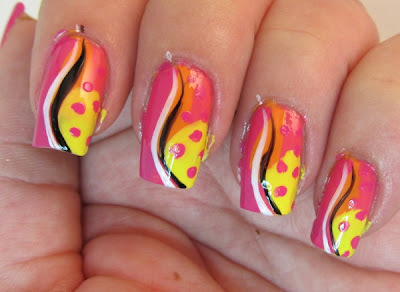 What they were screaming was "water marble." 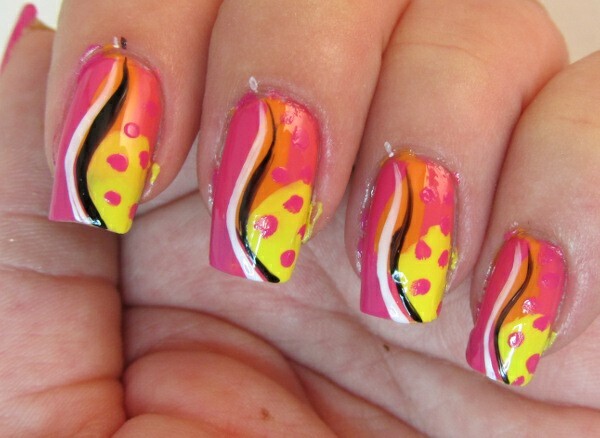 I used Crazy, Hot Lips and Lime Lite. The yellow Crazy and pick Hot Lips sort of merged together to make orange. 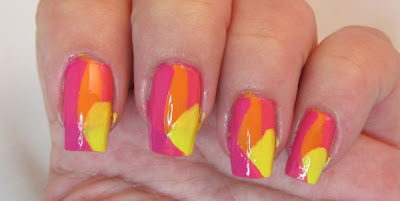 But I still love the finished look -- Bright and summery. These dried extremely fast in the water. But that just meant I had to work fast. I dipped two fingers at once for this marble. I have to share this lovely collection I received from a friend. Deborah Lippman has done it again. This neon mini polish set is fun and bright for the summer months. These polishes are a matte finish and application is a breeze. 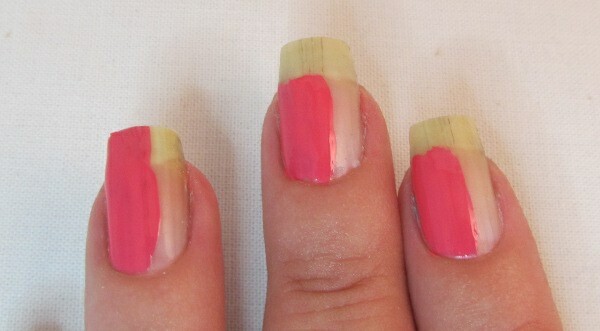 The yellow was a little sheer and I applied three coats. But yellows usually seem sheer to me. 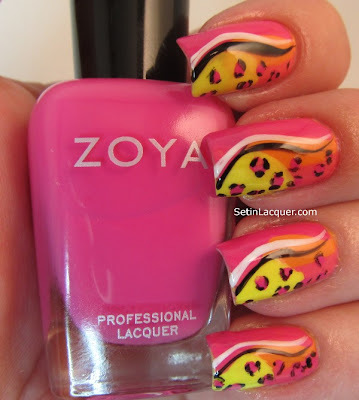 Here is what the creator had to say about these polishes. Let's just move on to the swatches. All of these are two coats except for It Girl which is three coats. I did not use a top coat for any of these polishes. I Kissed a Girl is a bright, yet soft, (yes I know that sounds strange) pink without being overbearing. It Girl is a buttercup yellow. Not quite as bright as it shows in the photo though. This is three coats and it is still pretty sheer. Hollaback Girl is a wonderful shade of coral that lends itself to red. I think it is my favorite in the collection. Nasty Girl is a plum purple and is probably the truest matte in the collection. Party Girl is a vibrant pink. The camera just couldn't quite capture the true color in this polish and picked up more of the red hues. But it really is more of a fuchsia pink. Deborah Lippmann Run the World collection can be purchased in several department stores, or online and costs $45.